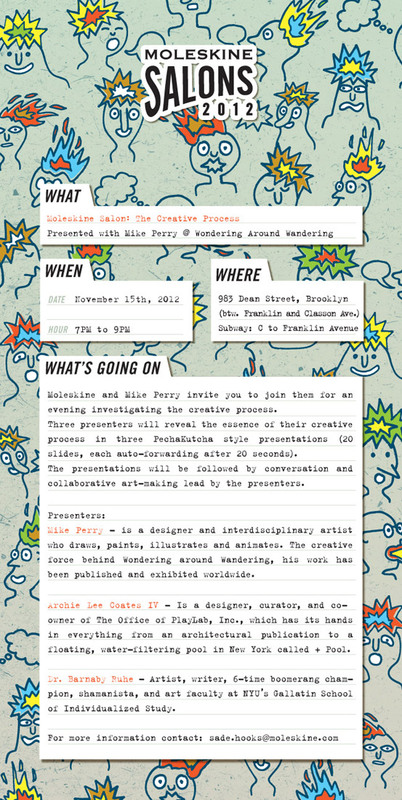 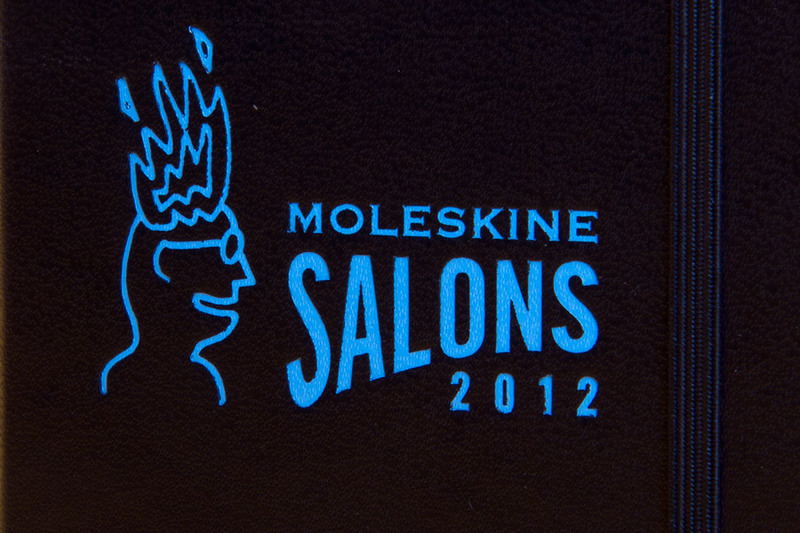 This year the Moleskine office in New York began organizing a sequence of events: Salons. 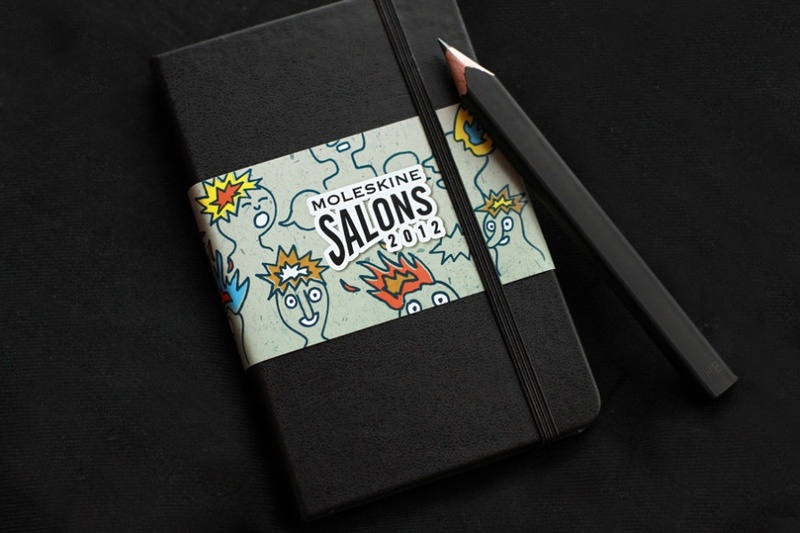 Salons in general look at the art of conversation, and Moleskine’s aim was to bring individuals together to discuss ideas around a particular theme. 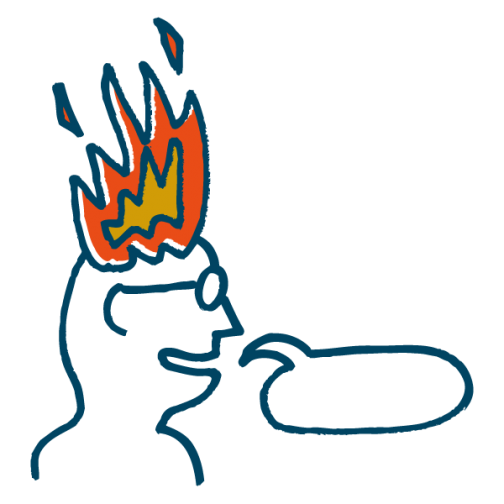 The events ranged from fireside chats to events where people are standing and moving throughout the space. 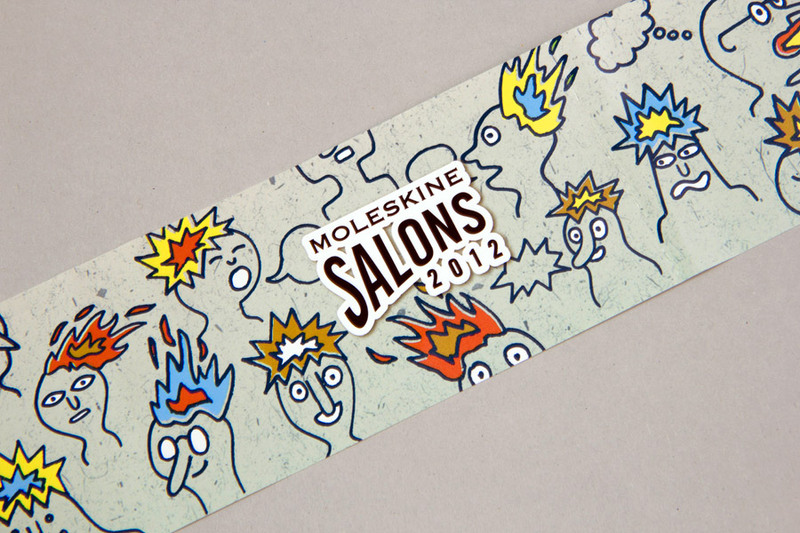 I was asked to create a communication including a logo, a poster and a special edition Moleskine notebook given to participants. 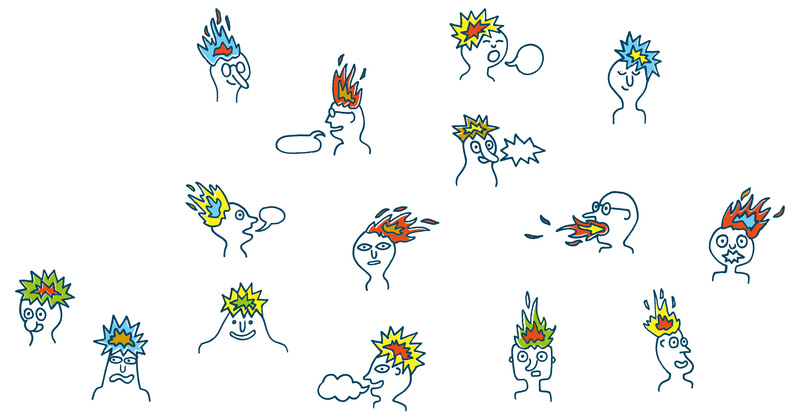 I visualized people meeting, talking, brainstorming, having new ideas – so I thought right away of a bunch of heads exploding or catching fire and I started to draw a multitude of different characters.